The Boston Back Bay Area was developed in the mid-1800’s, and has since garnered a reputation for being Boston’s premier high-end housing and shopping district. It's area stretches eastward from Massachusetts Avenue to Arlington St, and Southward from Beacon St. to Boylston St. 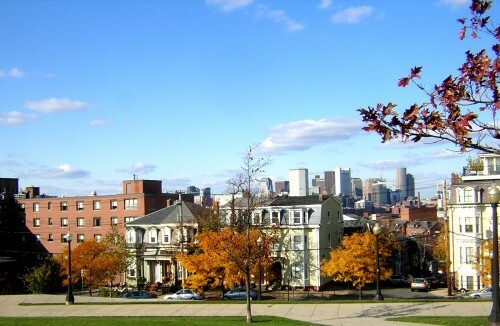 Located on north-side of Boston Public Garden and Boston Commons, Beacon Hill offers residents easy access to the most popular outdoor recreational space in the city. 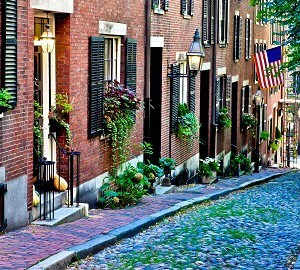 Beacon Hill is rich in history, and is known for it's beautiful brick row architecture. 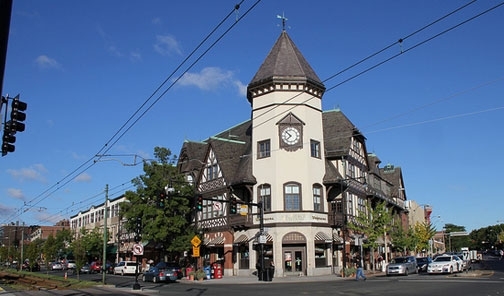 One of the best features of Brookline is that it is able to give residents a more small town, suburban feel, while being in immediate reach of the entire city of Boston. The Brookline area has become a very attractive area to own property, and houses many noteable figures in the community, including football player and local sports hero, Tom Brady. Home to two of America's most prestigious universities, Cambridge exudes a certain intellectual quirkiness. The city is a blend of historical venues, student hang-outs, vintage clothing shops, and bookstores and ethnic restaurants. The Boston Back Bay Area was developed in the mid-1800’s, and has since then earned itself the reputation for being Boston’s premier high-end housing and shopping district. 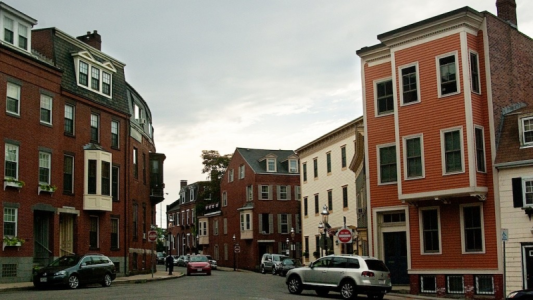 Charlestown is an up and coming luxury destination in Boston. 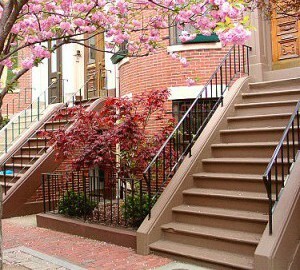 Several historic attractions are located in Charlestown: The Bunker Hill Monument, The Navy Yard(where the The U.S.S. Constitution is docked), as well as portions of the Freedom Trail. 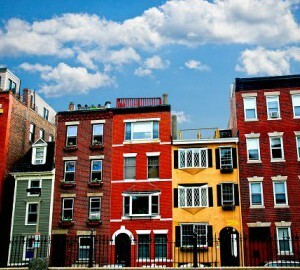 The Fenway area is filled with plenty of entertainment, and houses some of the top hospitals in the world. 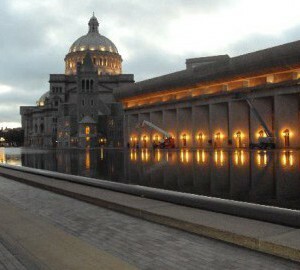 Attractions in the area include the legendary Fenway Park, Museum of Fine Arts, Symphony Hall, and the House of Blues. Midtown is a relatively large area consisting of several smaller districts such as the Financial District, Leather District, Chinatown, Theatre District, and Downtown Crossing. 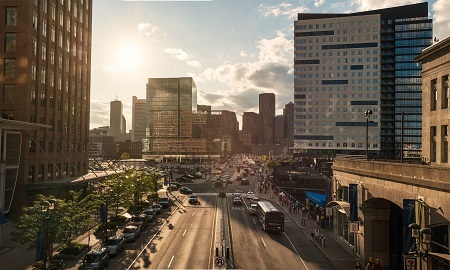 The Seaport District is another one of Boston's up and coming areas, and is as of right now, the hottest section of the city. Now officially nicknamed, "The Innovation District", the Seaport area is budding with new ideas and entrepreneurial thinkers. 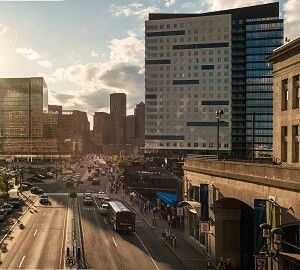 Traditionally a working class neighborhood, the improvements to Boston’s Harbor have allowed property values to skyrocket, and brought with it an influx of new residents. "Southie" retains its Irish charm, and is the place to be in Boston for celebrating St. Patrick’s Day. 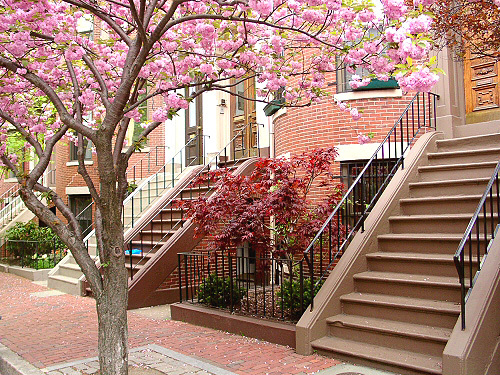 Located just minutes from downtown and the Back Bay, in recent years the South End has become one of Boston's most popular neighborhoods. It has attracted a diverse blend of young professionals and families to this Boston Landmark District. 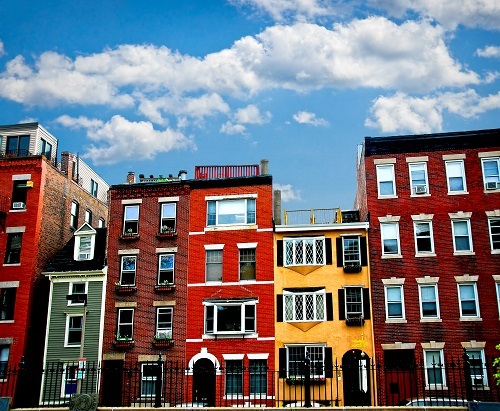 You will be sure to notice the South End's renowned Victorian brownstone buildings. 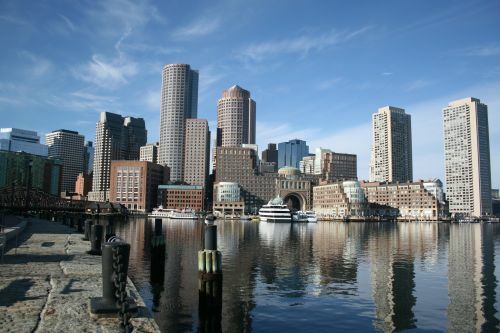 The Boston waterfront is truly a gem in this historic city with breathtaking water views. 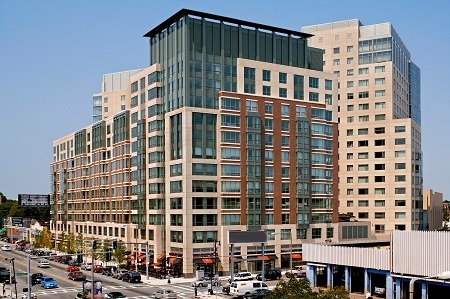 It offers high-end residences both in the renovated wharfs along the Boston waterfront, and the new full-service, luxury buildings. Many condos and townhomes in the historic wharfs feature loft style details such as exposed brick walls and wood beams.